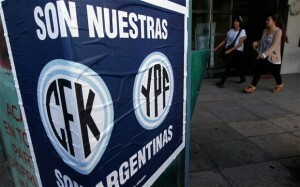 On April 16th, 2012, Argentine President Cristina Fernández de Kirchner expropriated the Argentinian oil subsidiary Yacimientos Petrolíferos Fiscales (YPF) from the Spanish conglomerate Repsol. According to Fernández, her executive order to seize 51 percent of Repsol’s stake in YPF was prompted by what she and Argentine state officials deemed an inexcusable “underinvestment” in the development of newfound oil and natural gas deposits in the nation’s western regions. Instantly popular among Argentinians, the takeover was decried as unprovoked and nearsighted by Repsol’s board of directors and much of the international business community. Nevertheless, for all the attention initially enjoyed by the Fernández administration, the Western world seems to have rapidly lost interest. Indeed, legislation finalizing the nationalization sailed through the Argentine National Congress essentially unopposed, and with virtually no coverage from Western media outlets. The prevailing notion conveyed by this boom and bust-style reporting: that Argentina is in its death throes, on a one-way path toward what some wrongly consider Latin American truisms of defunct democracy, squandered natural resource wealth, and indiscriminate nationalism. Such a conclusion, however, is as lazy as it is unhelpful, as the nationalization of YPF by President Fernández offers three valuable insights that such a narrow interpretation precludes. First: not all nationalization efforts by left-of-center Latin American leaders follow the same logic or script. Yes, Bolivian President Evo Morales did expropriate a Bolivian electricity subsidiary from Spain’s Red Eléctrica Española earlier this month, using very much the same nationalist rhetoric that Fernández had just weeks earlier. And yes, Venezuelan President Hugo Chávez continues his protracted campaign of nationalization, now threatening international banks with the same fate that befell the gold industry in Venezuela late last year. But, nonetheless, these are weak analogies; what appears to some an obvious and immature trend of reckless nationalism in Latin America is, in fact, much more nuanced. Consider instead Morales’ dramatic takeover of Bolivian oil fields from international petro-magnates Petrobrás and Repsol-YPF in 2006. According to Sidney Weintraub of the Center for Strategic and International Studies, nationalism aside, these expropriations were carried out to remedy uncharacteristically low returns on Bolivian natural gas exports. Already the poorest nation in South America, Bolivia could scarcely afford the regional price differentials which made exporting its abundance of natural gas disappointingly unprofitable. Alongside the economically unwise nationalization of YPF by Cristina Fernández, Evo Morales’ takeover of foreign oil interests in 2006 clearly demonstrates a Keynesian logic regarding market failure that the West is reluctant to ascribe to the Bolivian leader. At its core, the categorical mistrust of current Latin American leaders like Morales and Fernández, which has driven so many in Washington to cast them as irrational caudillos, is excessive and unfounded. Second: contrary to its portrayal in the media, the legalization of the YPF takeover is not so much an end as it is a beginning. Ironically, Argentina lacks the estimated $40 billion USD necessary to develop the Vaca Muerta oil and natural gas deposits itself. According to Bloomberg, Argentina has just $47.3 billion USD in monetary reserves and remains isolated from global credit markets, a consequence of the nation’s infamous debt default of 2002. For President Fernández to accuse Repsol of underinvesting in Argentine energy and presume she can accomplish any different, without technical assistance and in the face of such steep development costs, is unrealistic. Yet, this myopia presents unique opportunities. Fernández cannot rest on her laurels indefinitely; if she wishes to deliver on her promise of Argentine energy security, she will be forced back into the arms of foreign investors. When this occurs, these investors will most likely represent interests neither Fernández, nor her administration is accustomed to dealing with in Repsol (China’s Sinopec, for instance, has made overtures to the Argentine state regarding YPF). 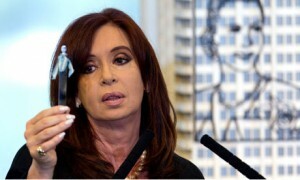 With the nationalization, Argentina’s foray into the geopolitics of hydrocarbons has just begun. Third: the expropriation of YPF from Repsol may have been politically motivated. But, rather than a desperate attempt by an authoritarian regime to retain legitimacy, it could just as well indicate that democracy is alive and well in Argentina. González is spot on; President Fernández’s reversal of YPF’s long-lamented privatization is evidence of a marked shift toward, not away from, democracy. In national elections last October, Argentinians endorsed not only Fernández, sweeping her back into the presidency with the largest electoral majority in over three decades, but also many congressional candidates from her populist party, Frente para la Victoria (FPV). 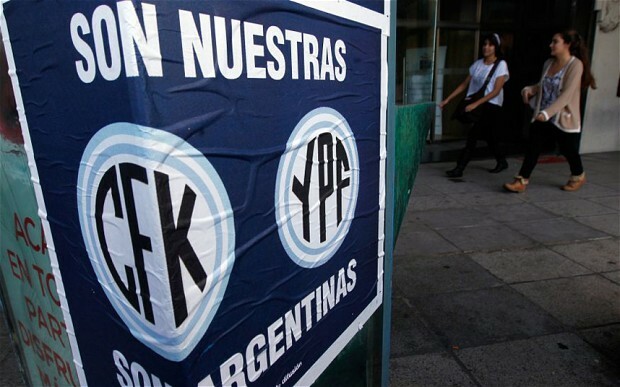 YPF’s takeover is as much a product of these elections as it is evidence of a shifting political discourse in Argentina: one that welcomes the democratic responsiveness of the Fernández administration and other FPV politicians who act in accordance with their electoral mandates. Such responsiveness is more than can be said of many of the more dignified Western democracies, with a soupçon of rectitude, condemning the Fernández administration for its action while closing their eyes to embarrassing events closer to home. 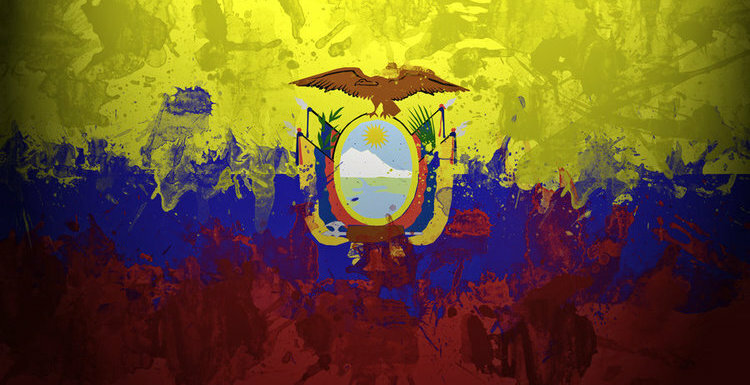 July 3, 2014 COHA Comments Off on The Ecuador Model: Is the Free-Market the Only Course for Latin America?